Everyone in this store has a great attitude and they are all knowledgeable and willing to help. The techs that fixed my phone were great and the phone was fixed fast and same day! Thank You! The guys that helped me today were great. I came in to get my phone fixed because of a cracked screen and they made it look brand new. They were awesome and brightened my day. Thank you guys so much! The store staff were very cordial and helpful. My device looks good as new. Everything was perfect! Personal service. Professional. Quick and efficient. Yet, I have not received my emailed receipt. Nice place. Nice bathroom. Repair was done insanely quick. 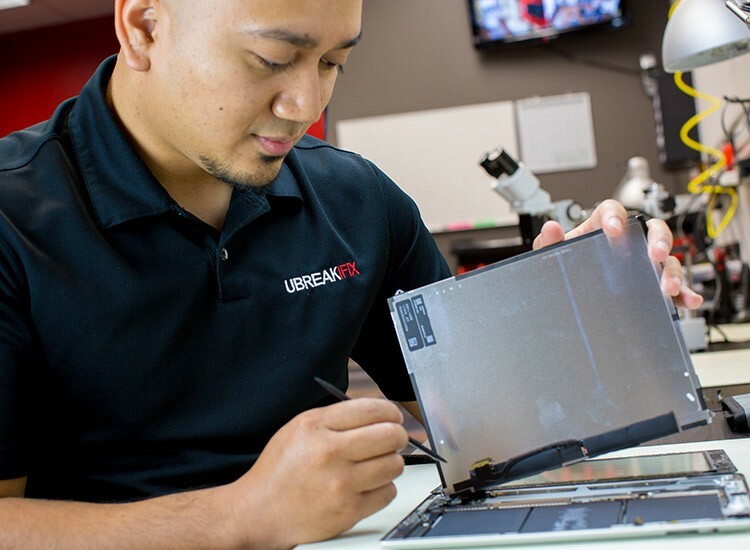 Located in Verizon, uBreakiFix is here to fix any cell phone repair issues you may be having. From screen replacements to batteries, LCD and more. We are located in Magnificent Mile on North Michigan street, home to some of the most upscale shops, luxe fashions, and the famous tribune tower. 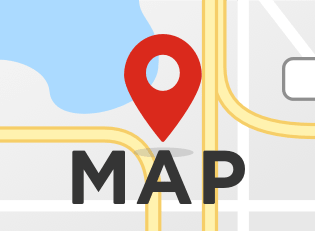 Our store is here fix cell phones in the Chicago metro area. We fix it all on the cell phone. Our cell repair techs are ready to run a free diagnosis on your phone and repair it like new. Your phone turn on? We fix charge ports and also do cell phone battery replacement. Did you drop your phone in water? We fix that too. Yes, we also fix water damage. Don’t use rice, it won't work! Bring it into a uBreakiFix as soon as possible and we will help you get your phone back to life. We repair all phone brands, from iPhone and Samsung to LG, Nokia, Blackberry, Motorola and more. One of the major cell repairs we work on is the Apple iPhone. Our iPhone repairs have a strict repair process that includes OEM parts and training like no other. From iPhone screen repair to iPhone battery replacements, LCD, and more. We fix all Apple iPhone models, One of the major models we see is iPhone 6 but we can even fix the new iPhone 8 and iPhone x. Bring it in for a free diagnostic, and enjoy your iPhone like new again. uBreakiFix is an Authorized repair brand and can fix your Samsung device like new. Our Samsung repair techs are certified and ready to fix your Galaxy with same day repair available. From back glass to screen repairs, LCD and more. Plus each Samsung repair includes a free battery replacement. 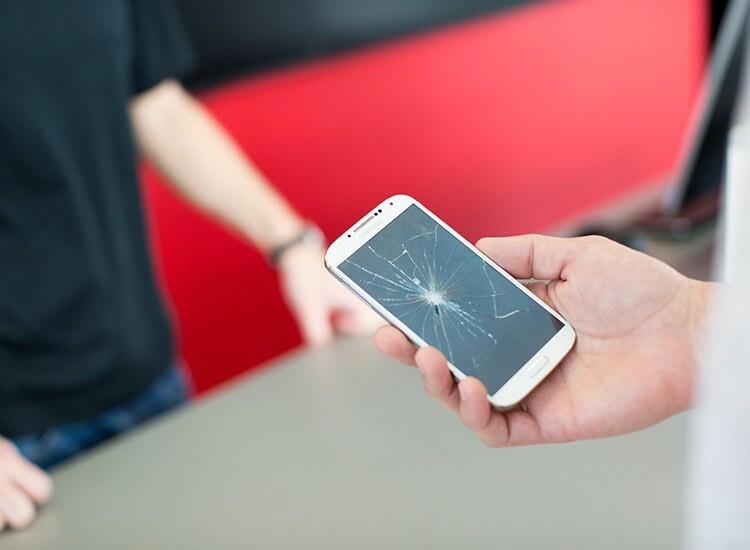 No appointments necessary, Bring your phone in and experience a repair process like no other. We strive to impress you and get you back to your device as soon as possible. Our same day repairs can help you be on schedule and still get back to your phone within the same day. We also offer a 90-Day nationwide warranty with over 400 locations that can service your device. Bring your cell phone into the uBreakiFix booth in Verizon today, Let’s get you back to your phone.